"... lush, vivid ... Minor Moon fits somewhere between the classic sound of Neil Young and Van Morrison and contemporary folk-rock from the likes of Grizzly Bear." 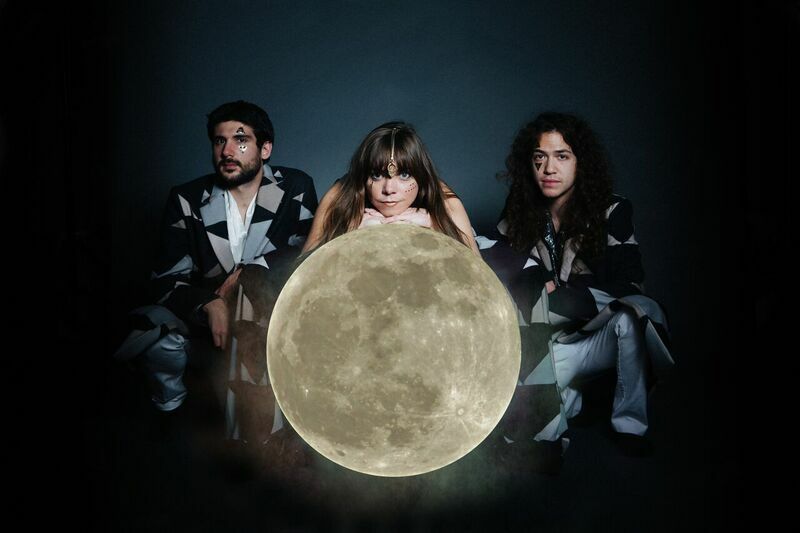 Our first concert of 2019 will be Minor Moon, an indie-pop band from Chicago. They have a new album coming out in February and we love what we’ve heard. 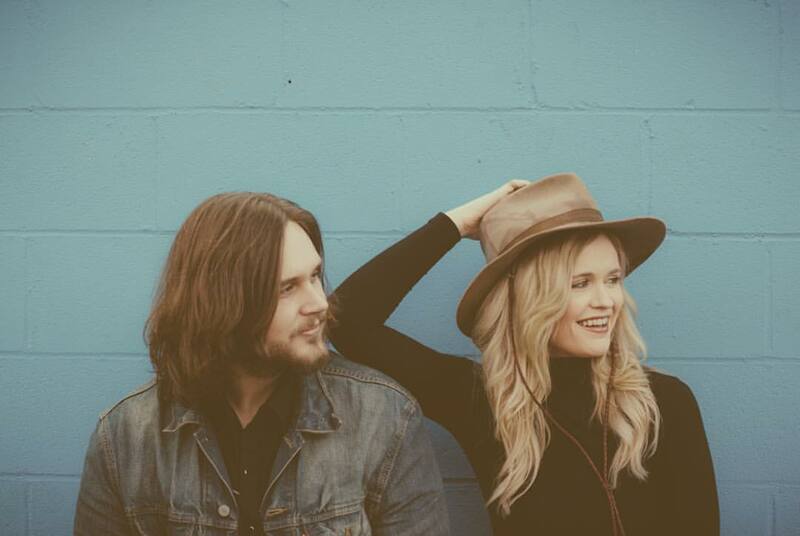 Their smart, piano-driven music calls to mind Aimee Mann, My Morning Jacket, and Iron & Wine. They strike a unique balance between timeless and new sounds, mysterious and revelatory lyrics, and a contemplative and emphatic spirit. Plus they are great live! This, ladies and gentlemen, will be a rock'n'roll show. Hotel Ten Eyes is Joe Fletcher's new band and they are ridiculously good. 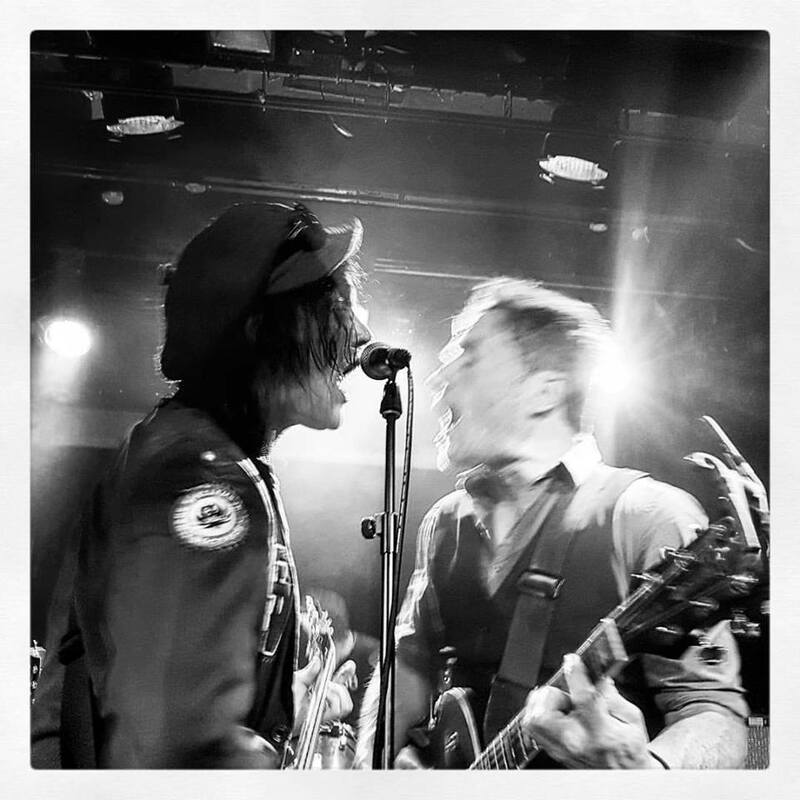 Great story songs like Bruce Springsteen and Steve Earle, but with the concise energy of The Clash. We've loved Joe's music for years and, as a special treat, he will be playing a solo set before Hotel Ten Eyes rock the house. Arc Iris are decidedly their own thing - weaving the threads of smart folk-rock like Joni Mitchell, theatrical prog like early Genesis, and modern rock into their own colorful capes. They just released their third album, Icon of Ego, which Uncut Magazine calls a "prog-pop spectacular." The first time they performed at our house their costumes and great performance made us think, “Wow, this band is spectacular – in all senses of the word!.” The second time, the growth of their music and their DIY light show made us say, “Holy crap, this band is mindblowing!” We can't wait to see what they have in store for us this time. Given that their energy just keeps growing, we decided we should have Arc Iris play somewhere with more room. Fortunately, one of the best venues in town, The BOP STOP, agreed to do the show with us. BOP STOP has a great sounding room with plenty of seating and excellent sight lines, but also lots of room for people to move. But wait, there’s more: Qiet, another Mechanic Street fav, will be the openers. 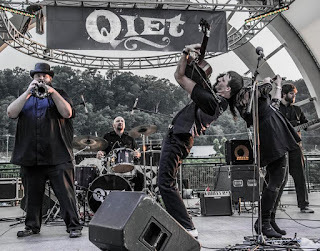 Qiet play horn and fiddle spiked pop-rock that blends in bits from gypsy jazz, funk, soul, and folk music and are one of the few bands that have a live show that can rival Arc Iris’s. They remind us of Talking Heads, not because they sound similar, but because both play smart music that makes people dance. “Kiss of the Universe is Qiet’s most fully realized album yet, with horns, violins and Vincent’s larger-than-life vocals punctuating songs filled with dark humor, surreal wordplay and the existential poetry of a life lived on the edge. It’s the kind of stuff that could become pretentious in the wrong hands, but Qiet keeps everything grounded with danceable rhythms, inventive arrangements, and tons of hooks.” – Spotlight West Virginia on their latest album. This is absolutely a don’t miss show. Since it is the Saturday before Halloween, Jocie from Arc Iris wants you to know that you are 100% welcome to come in a costume. Sarah Potenza writes songs worthy of her huge voice - which is no small feat. Prepare to be blown away! Two of Cleveland most unique acts on one night! Haunting, serene, and always captivatingly beautiful, Uno Lady creates spell like loops, spinning you into her musical web. You'll be stunned by what she can do with her great voice and a loop pedal. Her unique talent has been acknowledged with various awards, including the prestigious Creative Workforce Fellowship, Best Voice, and Top Band to Watch. Powerhouse 5 is a jazz sextet that plays the music of Raymond Scott, a composer and polymath whose frenetic and funny music has long influenced cartoon soundtracks, from Looney Toons to the Simpsons. It includes six of Cleveland's most in-demand jazz musicians: Darren Allen, George Foley, Larry Herman, Tom Lempner, Bill Nichols, and Don Turoso. $20 suggested donation, which all goes to the performers. Please email us at mechanicstreetmusic@yahoo.com to reserve your seat or get more info. The War and Treaty: the name itself represents the pull between trauma and tranquility; music inspired by darkness and despair that ultimately finds a higher spiritual purpose. We saw them at the Ann Arbor Folk Festival in January and it was amazing! 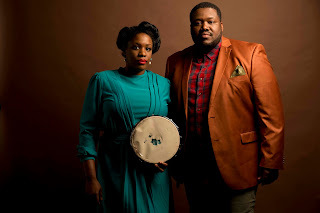 The War and Treaty’s music blends of roots, bluegrass, folk, gospel and soul. Their EP Down to the River boasts a sound that’s both stirring and sensual, driven by joy, determination and an unceasing upward gaze. The music is visceral but never morose, flush with emotion but void of despair… a style that touches on a variety of genres, but never finds itself confined to any one. The arrangements are uncluttered– harmonies, bass lines, guitar and mandolin licks, settle drum patterns and keyboards create an immensely moving soundscape — but the sentiments and emotions are fully realized and soar with a steady, chilling assurance. We hope you can join us for a night of amazing music! Rayna Gellert and Kieran Kane are an amazing duo whose voices and styles blend perfectly. Both are great singers, songwriters, and instrumentalists who are steeped in traditional music but not limited by it. 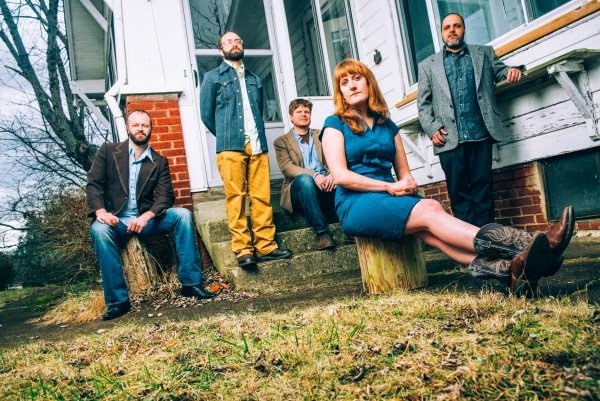 Rayna Gellert is best known as an old-time fiddler and as member of the acclaimed stringband Uncle Earl, but in recent years her own songwriting has come to the fore. As No Depression said about her latest record, "These songs feel timeless but are truly distinctive." Kieran Kane is one of our all time favorites and we are thrilled to welcome him back. He is an iconic songwriter and performer and one of the founding artists of the Americana movement. His songs are like great poetry: there is nothing in them that doesn't have to be there, both sonically and lyrically. Nathan Bell’s music is like a fine chef’s knife – well honed, powerful, beautifully simple, and cuts right to the bone. Listening to his music leaves you changed. With just a guitar and a harmonica, he can hush a bar crowd. He’s a craftsman in the vein of Guy Clark and Townes Van Zandt, but with more of a political edge. His song “Names” is the best post-9/11 anti-war song we have ever heard, so we can’t wait to hear what he has to sing about our current situation. “Nathan’s songs limn a grim and unforgiving world where grit and hope guarantee nothing. I remember how shaken I felt the first time I heard the album. I have come to treasure Blood Like a River, a sparse, extremely intimate album on which Nathan played and sung everything.” – Sing Out! Marah is a great, great rock band that gets compared to The Rolling Stones, The Replacements, Steve Earle, and Bruce Springsteen. They are also one of the best live bands around. So when they asked us to host a show, we said "Hell yes!" We've loved Marah ever since we heard Kids in Philly in 2000. Part of what we love about them is how much their music reflects their hometown. Many of their songs feature Philadelphia's landmarks and neighborhoods. Their songs also incorporate the city's music, from the manic banjo of the Mummer's parade to doo-wop harmonies. This will be a mostly acoustic trio show, but they are still going to deliver more rock than a quarry truck. Nikki Talley is one of the best Americana singers and songwriters we've come across in the past couple years. It's hard to decide what's more powerful - her songs or her voice. 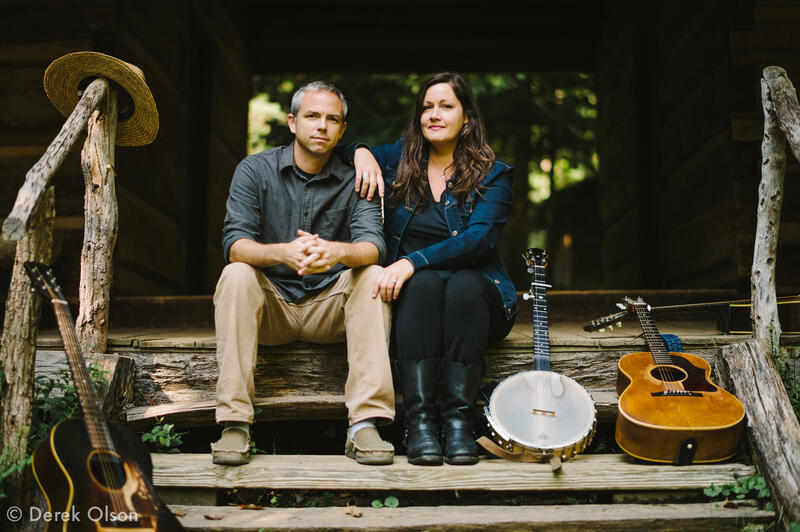 Some of our best concerts have been duos that are couples -- Nikki and husband/guitarist Jason Sharp are definitely going to keep that streak intact. Qiet is ridiculously fun and energetic. They play horn and fiddle spiked pop-rock that blends in bits from gypsy jazz, funk, soul, and folk music. They remind us of Talking Heads, not because they sound similar, but because both play smart music that makes people dance. This is going to be a great show. We hope you can join us! After skipping a couple of years, we're going back to our tradition of hosting two Cleveland-based performers in January. These shows are a lot of fun and Cleveland has some world class musicians. G.S. and Tom are prime examples. Not only are they great songwriters and singers, they sure do know their way around a guitar! G.S. Harper is a Texas native and you can hear it. He fits solidly in the Texas songwriter tradition that has given us greats like Guy Clark, Steve Earle, Rodney Crowell, and Townes Van Zandt. 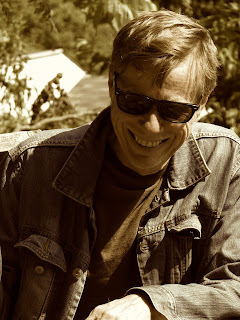 Tom Evanchuck has made his own stew out of influences like Bob Dylan, Otis Redding, Neil Young and Lighting Hopkins. He's very much his own thing, but if you like Ryan Adams best work you will like Tom's music. We're thrilled to be hosting two of our favorite Cleveland songwriters on one night. Come join us! Our past local showcases filled up very quickly, so please reserve your spot soon. The Bones of J.R. Jones is like a one-man Black Keys - he sings and plays drums, guitar, banjo, and harmonica like a champ. We really dig his latest CD, which is equal parts old blues and dark folk. He's great live - no wonder we are hearing from so many of his fans! Here's a couple videos, a stomper and a pretty one. 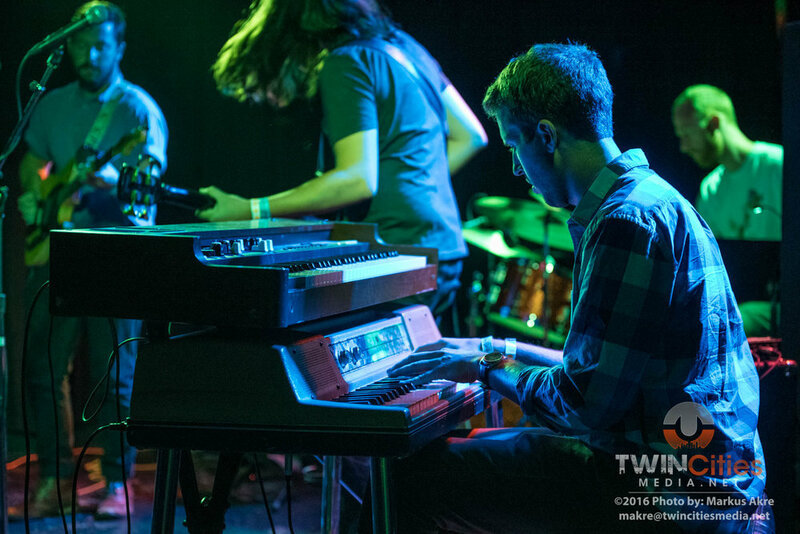 If you like Shakey Graves or Mechanic Street alums Vandaveer, Smooth Hound Smith, and Buffalo Wabs and the Price Hill Hustle, we are sure you are going to love this show. $15 suggested donation, which all goes to the musician. 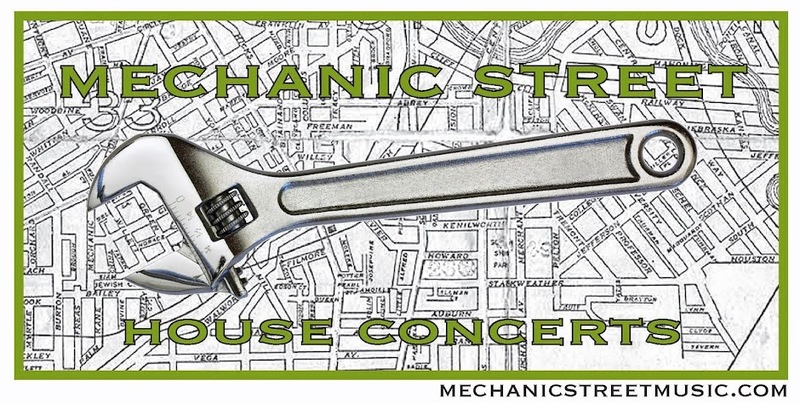 Please email us at mechanicstreetmusic@yahoo.com for more info or to reserve a seat. Arc Iris is a feast for the eyes and the ears. When they performed here in 2014, they decorated our living room, wore costumes, and put sequins on their faces. Let's just say it wasn't your average house concert : ) We're thrilled that they’re coming back! Arc Iris sound like Joni Mitchell and Frank Zappa made an album together and it turned out amazing. Their music is unique, complex, and beautiful. They have been touring constantly the last two years, with highlights including performing at Bonnaroo and multiple European tours. That time on the road has distilled their sound, which you can hear on their great new record Moon Saloon. Better yet, come hear the trio here! 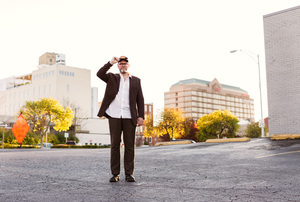 "The veteran frontman of the beloved bands Archers Of Loaf and Crooked Fingers has shifted gears with each new project, from witty, wiry indie rock to subtle, subdued songcraft. In the new album, Bachmann explores a fuller yet more intimate approach — one that retains all of his endearing rough edges and warm, winning turns of phrase." Finally! We’ve been trying for three years to get Eric Bachmann to come do a show. He’s a perfect fit for a house concert because his music is full of details that would get lost at most clubs. Eric is one of Joel's absolute favorites. His records range from killer indie-rock to driving and dark folk and perfectly crafted indie-pop. All with equal aplumb. If you like Neko Case, you will probably like Eric -- in fact he's been playing in her band lately. This show is a rare treat. As far as we can tell, it has been at least 10 years since the last time he performed in Cleveland. This is also the first tour where he is playing house concerts. We hope you can join us for a night that has been on our wish list for years! “If Birds Could Fly represent the kind of soul-driven authentic country music that drives a genre. The lead vocals are in a class all their own. Loretta Lynn. Janis Joplin. Dolly Parton. Most singers would be thrilled if people said their voice was like any one of those greats. Well, critics have referenced all three to describe the singular voice of Brittany Carter of If Birds Could Fly. And they weren’t exaggerating – her voice is amazing. We started hosting house concerts to spotlight great bands that not many people know about. That fits If Birds Could Fly to a tee. They have toured like the dickens, but still fly below the radar. Many nights they have to win over crowds in small town bars, which they do with aplumb. Imagine what they’ll do with an audience as welcoming as you! "Vandaveer’s third album, Dig Down Deep, is a good representation of the alt-folk genre: storytelling with a modern acoustic flair. The album’s sweetest moments come with the pairing of Mark Charles Heidinger and Rose Guerin, whose voice sounds like Emmylou Harris’s. Although the general theme of Dig Down Deep is a weary and hardscrabble life, that’s easy to overlook when the two sing." 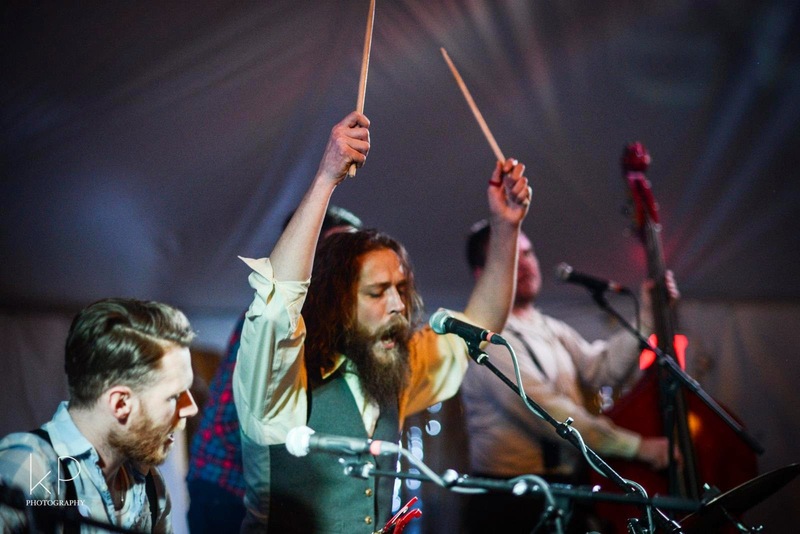 We had the pleasure of seeing Vandaveer live last spring and we were blown away. Great harmonies, great songs, great performers.Their music is dark and catchy - a winning combination! Vandaveer is to folk music as The Cure is to rock music. They have a new record coming out soon and NPR is previewing the first video. $15 suggested donation, which all goes to the band. For more information or to reserve your seat, please email us at mechanicstreetmusic@yahoo.com. We haven't had many unaccompanied singer-songwriters since Keiran Kane came in September 2013. Frankly, he set the bar insanely high. He is one of our favorites and we are thrilled he will be here again. 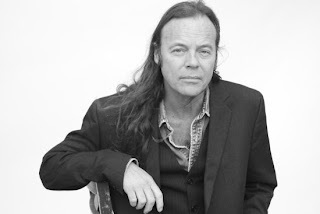 Kieran is an iconic songwriter and performer and one of the founding artists of the Americana movement. His ability to create mini-movies within his songs—check out “Go Jane Go”—prove that Kane is among only a small handful of writers capable of blending traditional roots music with modern themes. $15 suggested donation, which all goes to Keiran. We’re ecstatic that Kristi Rose & Fats Kaplin came back! People still tell us how much they were wowed by Kristi & Fats's performance here in 2011 (has it really been that long?!). 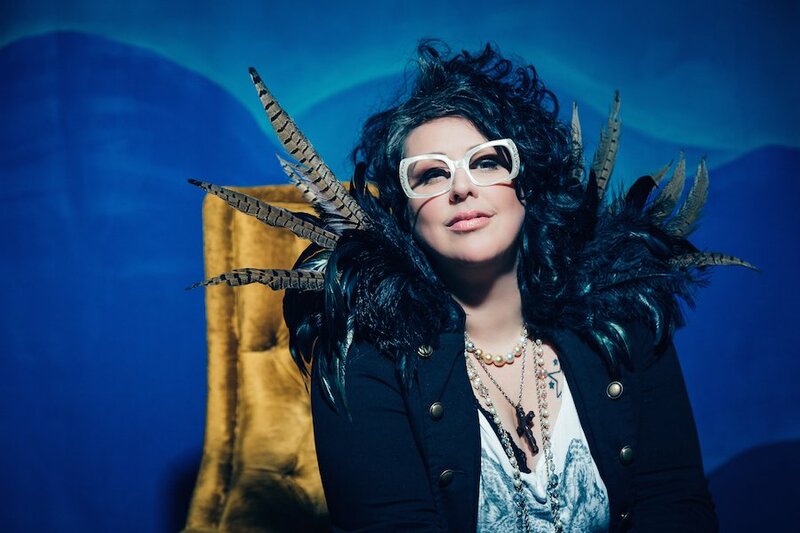 Kristi Rose is a powerful singer and songwriter who is as adept with a torch song as she is with a murder ballad. 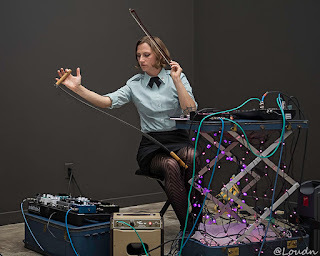 Fats Kaplin is an amazing multi-instrumentalist who has worked with a broad array of great artists, including Jack White, Tinariwen, Elvis Costello, Buddy Miller, and Emmy Lou Harris. Together, they play “Pulp Country”—a highly eclectic musical genre of cinematic proportion where urban and rural collide. 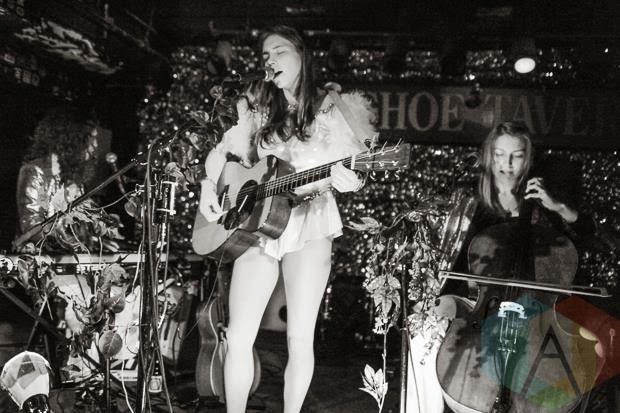 Imagine a cross between Patsy Cline, Nancy Sinatra, and Neko Case. We couldn't find just one video to sum them up, so here's two: one happy and one less so. It’s rare for a band to put out three great albums in a row, especially if all they have is three albums. Well, The Honeycutters have pulled off this musical trifecta. Three great albums, each better than the last. How have they done it? First and foremost, Amanda Anne Platt has a great voice with just the right amount of drawl and is a top-notch songwriter. Second, they are damn fine musicians on pedal steel, mandolin, guitar, bass, and drums. Third, they have their own sound, which they call “Appalachian honky tonk.” You can hear it in this video. $15 suggested donation, which all goes to the musicians. 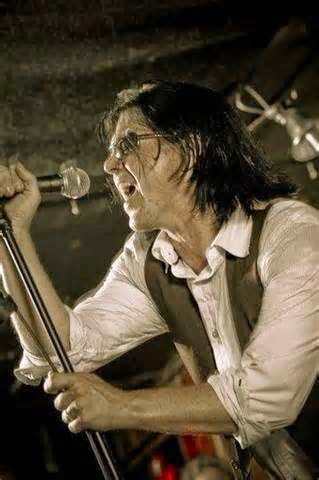 We love Mike Farris and are thrilled about this solo concert. His music blends the blues rock that fueled his misspent youth and the soul and gospel that drives him now. His latest record just won the Grammy for Best Roots Gospel Album. It is filled with joy, hope, and power. If you like the Staples Singers and Al Green, you will love his huge voice, dynamic performance, and passion. No wonder there was a line around the block the last time he played in Columbus! Here’s a video to enjoy. 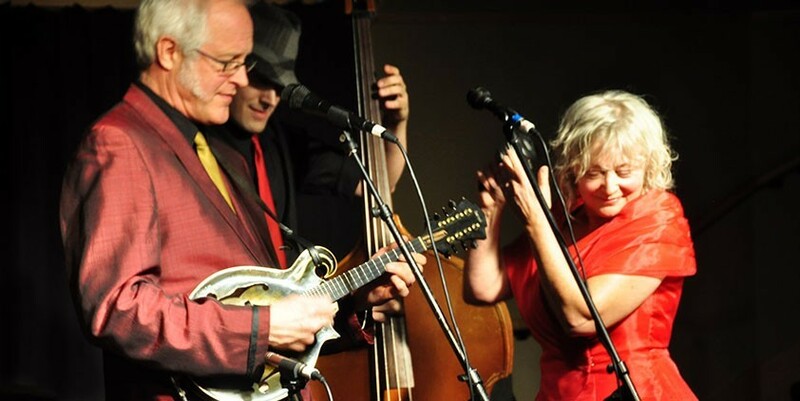 Buffalo Wabs & the Price Hill Hustle is a barnburning, footstomping Americana band from Cincinnati. 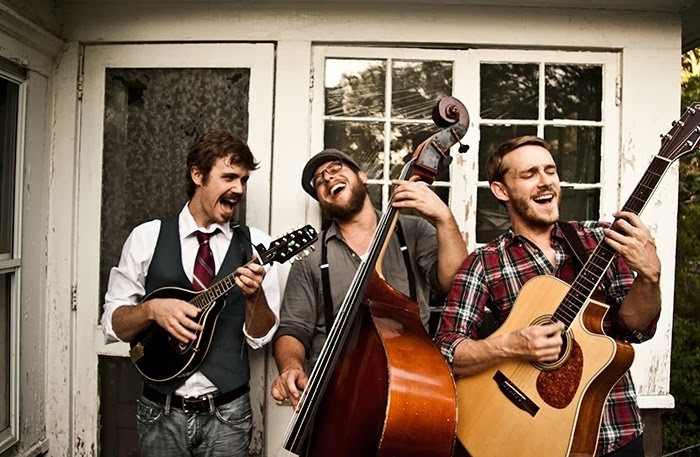 It's a tight quartet with guitar, upright bass, mandolin, drums, and great harmonies. The Hustle take classics, both familiar and obscure, and make them 100% their own. While their harmonies are beautiful, their music is gritty and high-energy. Sure to heat up a winter night! Here's a video to enjoy. Joel plays (and some would say is obsessed with) the mandolin. We are hosting an afternoon of workshops and an evening concert featuring two great mandolin-centered bands. Click here for more info on the workshops. The Matt Flinner Trio has fun straddling the lines between jazz, bluegrass and classical musics. Their instrumental music is catchy and beautiful. 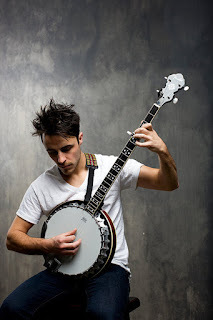 Matt Flinner, the Trio's leader, is a Winfield Mandolin Championship winner (a huge honor) and a member of the grammy-nominated Modern Mandolin Quartet. Here's a video. 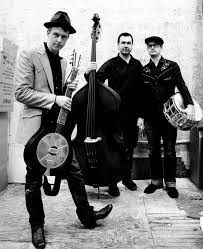 Harmonious Wail is a gypsy swing trio that is never afraid to bring new things to the genre created by Django Reinhardt. Joel has been a fan for 15 years (thanks, Mom!). It was founded by mandolinist Sims Delaney-Potthoff, a nimble fingered protégé of the legendary Jethro Burns. The trio also features a truly killer jazz vocalist, Sim's wife Maggie Delaney-Potthoff. Enjoy their take on "My Favorite Things". We first saw Smooth Hound Smith at Brite Winter Fest in February, where they turned a room full of strangers into fans. We have been spinning their latest CD ever since and love it. It is amazing how much different music they pack in -- and with just two musicians! Raw electric blues? Check. Sweet blue-eyed soul? Check. Country blues? Check. Plain old rock 'n' roll? Check. We like artists who are hard to pin down, and Dawn Landes clearly fits that bill. Her latest record is beautiful, delicate folk-pop, but her catalog includes 60's-style French pop music (complete with French lyrics) and rocking indie-pop. All of her work has two constants: her great songwriting and gorgeous voice. If you like Aimee Mann, Brandi Carlisle, or Laura Cantrell, you will love this concert. Please come join us for our first ever jazz show, and what a first! Rosetta Trio is Stephan Crump, Liberty Ellman, and Jamie Fox, three very busy NYC players. The interweaving guitars of Ellman and Fox wind around the solid core provided by Crump's bass and compositions. 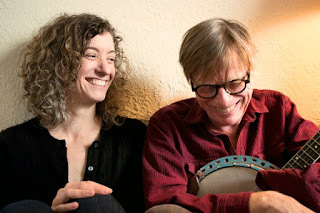 Their lovely music bridges the Americana music we usually showcase and modern jazz. If you like The Goat Rodeo Sessions, Vijay Iyer, or Bill Frisell, you will love this concert. Arc Iris's new album just came out and it is incredibly good. This orchestral pop band is led by Jocie Adams, formerly of The Low Anthem, and features piano, cello, guitar, trumpet, and many more cool instruments. They've been compared to Joni Mitchell and Bjork. Their live show is not to be missed (it sometimes involves a tapdancer wearing a fox tail). They are already getting really good reviews for their album, which has been out for less than a week. They have been featured by NPR's All Things Considered, the New York Times, and Rolling Stone. It is pure freakin' luck that they'll be playing at our house. We hope you can come! If you dig Old Crow Medicine Show, Pokey LaFarge, or Miss Tess & the Talkbacks, you will love Woody Pines. This fun band plays "rag & roll", a mixture of rag time, blues, and early rock. They tour constantly and are tighter than a snare drum. Don't miss this one! This year's local artist showcase will be a blast! 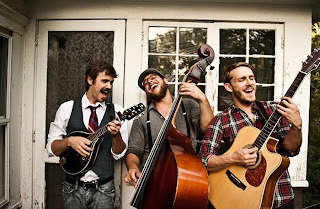 Honeybucket plays fun rock & pop using bluegrass instruments and tight harmonies. They are great live and have been featured at Cleveland Museum of Art, Brite Winter Fest, and Burning River Festival. 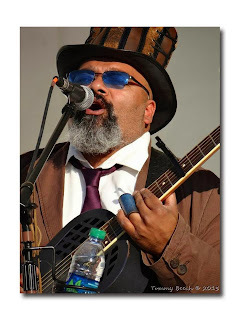 Austin Walkin' Cane is a bluesman who keeps it gritty. He's played all over Northeast Ohio, but also blues fests all over the world. We can't wait!! Make your reservation early. It's looking like this one will be at capacity well before the 12th! Without Kevin Welch, we would not be doing house concerts. He is the first Americana musician who caught Lynn's ear. The first time we went to a house concert it was to see him. He is an incredible performer who has so many great songs that it is hard to sum him up. One song will be a scorcher about partying in Amsterdam, the next a snapshot of life in Oklahoma oil country, and the next a prayer for a long, full life. This is another rare treat. Since we moved here in 2007, the closest he's come to Cleveland is Columbus (it was SO worth the trip). Doors open at 7:30pm. Music at 8:00pm. Gurf Morlix is a singer, songwriter, guitarist, and producer from Austin, TX. 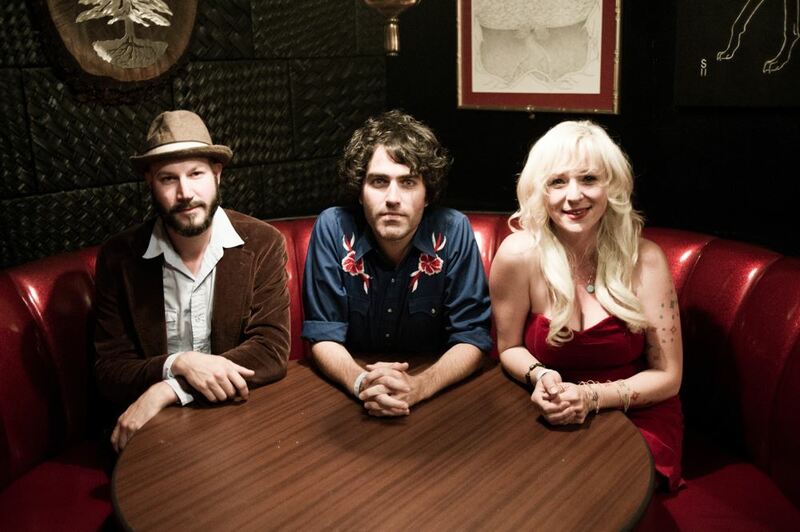 Often known for his many years as Lucinda Williams' guitarist and producer, his solo work is just as noteworthy. Gurf keeps making great new music in the classic Texas songwriter vein, including his brand new album, "Gurf Morlix Finds the Present Tense." $15 suggested donation, all of which go to the artist. You must email mechanicstreetmusic@yahoo.com to reserve your seats! We'll send you the rest of the details a few days before the concert. Hope you can join us for this show. It's going to be a doozy! We love artists who are hard to classify. That would apply to Kevin Gordon, except he's figured out a name for his music: indie swamp. Indie because it is literate and bound only by his imagination. Swamp because it has that greasy, loose feeling of rock and blues from Louisiana. It's a fantastic combination that earned him a full story in the New York Times last year. We've seen him live and he delivers the goods. We're hosting our 3rd annual NEO musician showcase on January 12th. shiveringtimbersmusic.comAfter Shivering Timbers get you all riled up and tripped out, Mentor singer-songwriter Tom Evanchuck will help get your head back together. His voice and songs remind us of Ryan Adams's best work - a mixture of blues, soul, country, and folk. And, boy, does he know his way around a guitar! While this is a concert at our house, it’s not really a Mechanic Street House Concert. How’s that? This show is part of the Bottle Rockets’ “Living Room Tour” and the band is handling ticket sales themselves. Instead of making a reservation with us, you go to this website and buy a $25 ticket. Tickets go on sale at 1PM (noon Central) tomorrow (Monday Oct. 29th). Their Living Room shows have been selling out quickly, so move fast if you are interested! Since its unofficial formation in 1998, this Northeast Ohio-based ensemble has assembled an unlikely rogues' gallery of composers, artists, writers and ethnomusicologists. 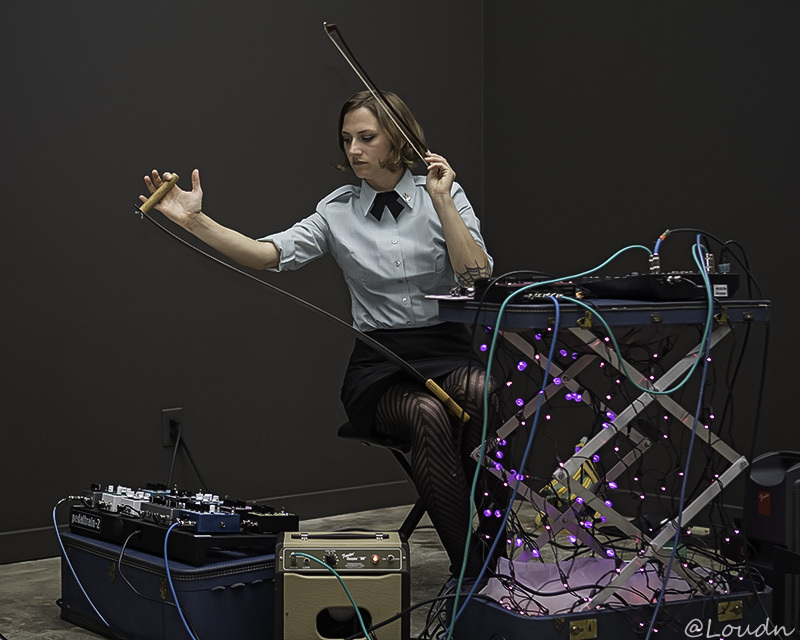 Contrary to its name, Trepanning Trio typically performs with a rotating lineup of six to twelve musicians. 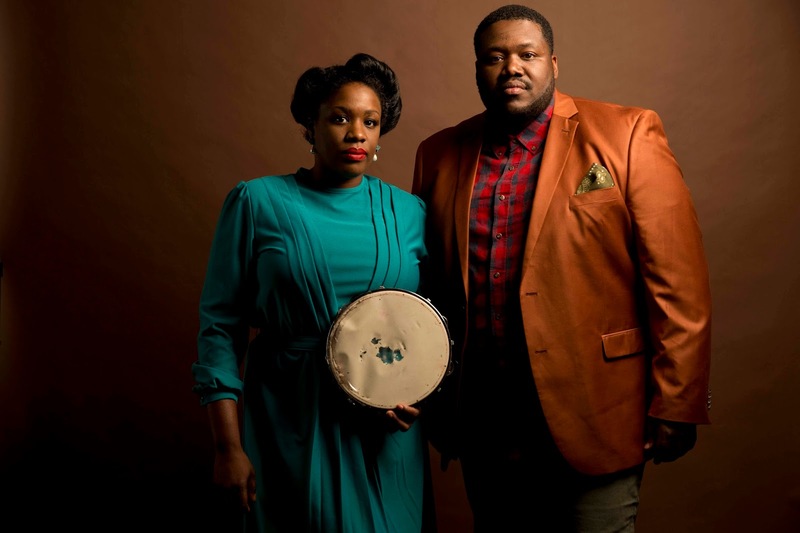 Despite their diverse backgrounds, they bring hundreds of years of experience to bear on a repertoire forged by a shared passion for sound, texture, rhythm, melody and experimentation. Check out Mike Uva's website. Check out Brent Kirby's website.